« Podcast On Fire 128: Tom On Fire aka Handover to Blu? Alone in the back up chair, coming in from the substitute bench is Kenny B in a little POF we prepared earlier for you. 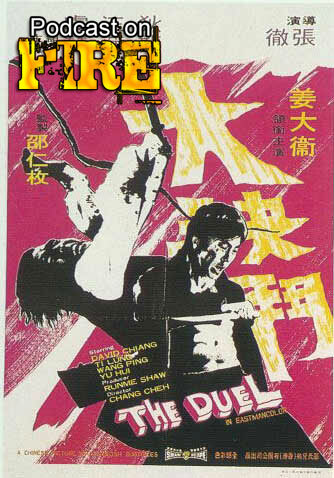 Reviewing Chang Cheh’s blood soaked masterpiece The Duel (1971), Ken also tortures himself by sitting through the “funny” remix edit of the movie called Iron Fist Pillage. The makers are going to hell…Ken set himself up to join them.